Rob Bambach returns to MWROC as our guitar guru! Rob committed himself to studying music seriously, as a student of a number of great professionals and studying at community college and then the Manhattan School. 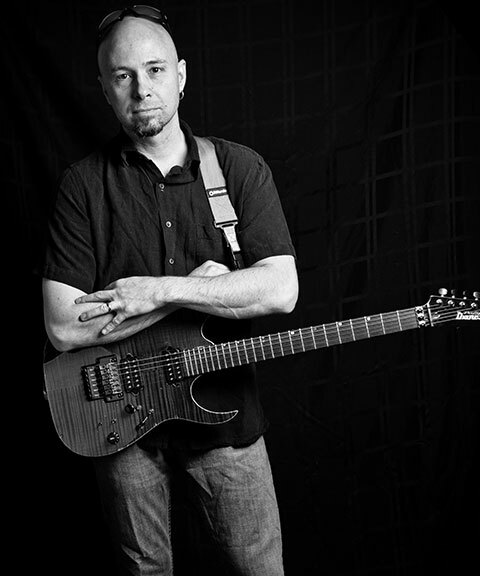 Rob has worked with and played alongside many world class musicians, including Andy Cichon, Chuck Burgi, David Sanborn, Steve Vai, Maceo Parker, Livingston Taylor, Mark Wood, Taylor Dayne, Rob Balducci and many others. There is never a dull moment for Rob. He composes, teaches a number of wonderful students, plays 200-250 gigs a year from local bars to Broadway, records, and spends all the time he can with his other true love, his family. Rob couldn’t be happier. Tricks and effects: pedals, distortion, and more!